Dr. Arnold LeUnes, Professor of Psychology at Texas A&M University in College Station, Texas. His main teaching areas are sport psychology and abnormal psychology, and his research focuses almost totally on sport-related issues. He has written a popular textbook on sport psychology as well as a reference work on psychological testing in sport psychology, published over 100 journal articles, and made well over 100 conference presentations. This book is a chronicle of "coming of age" in the 1940's, and 1960's in Oklahoma and Texas. The initial pages of this book are devoted to a brief recapitulation concerning the state of my birth, Oklahoma, and my home town, Dewey, and the influence exerted on the culture by Native Americans. Other topics include my ancestry, school days and reflections on teachers, coaches, and sports teammates, everyday life in a small-town Oklahoma in the halcyon days of the 1940's and 1950's, and having a second summer home in Texas City, Texas. The middle portion is devoted to my undergraduate experiences at Texas A&M University, at the time an all-male military school. There are takes on favorite professors and interesting classmates. The same can be said for my two tours of duty at the University of North Texas in Denton where O received my master's and doctoral degrees. The Third major section is devoted to my cherished 32 months in the US Army. 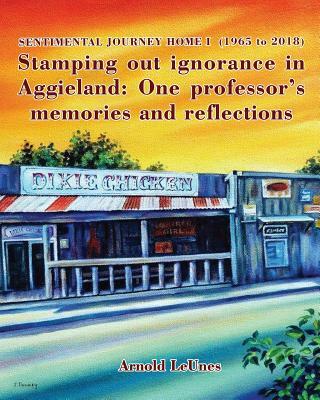 This book is intended to be a companion volume to Stamping out ignorance in Aggieland, and it is my fondest hope that it provides additional insights into what has been a wonderful 80-year ride for this old Professor, Okie Boy, and Texas Aggie. The book focuses on assorted memories, meanderings, and musings related to my 52-year tenure as a Professor of Psychological and Brain Sciences at Texas A&M University in College Station, Texas. Reflections on teaching, favorite students, funny and/or colleagues with whom I have worked, the history of the university, fascinating clients I have met in counseling, my wife and children, grandchildren and great-grandchildren, thirty-five years of playing, officiating, and coaching softball, fifteen summers of Study Abroad experiences with over 400 Aggies, life experiences in Australia, New Zealand, Fiji Island, Iran, and a great part of mainland Europe, and stories of people and events that have transpired over the last fifty-two years of my life are grist for the mill. My wish is to amuse, educate, entertain, and perhaps occasionally antagonize the reader with my take on life as I have experiences it in the last half-century. 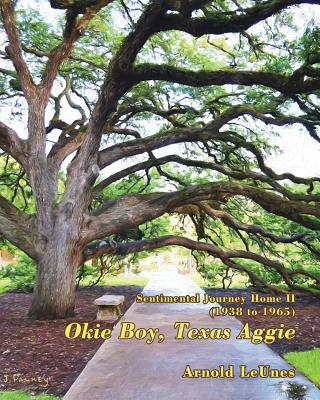 The interested reader may want to also take a look at Okie Boy, Texas Aggie to gain a fuller understanding of the background events that shaped those in the present volume.